As I sit here writing this and it’s raining outside again, I can’t help but think of Spring and Summer! I’m so ready for sunshine and hanging out outside. This weekend was opening day for Little League and anyone else that is a baseball parent knows just how much time we spend at the fields. I’m always on the hunt for items that can make be feel put together, comfortable and not lack in style. 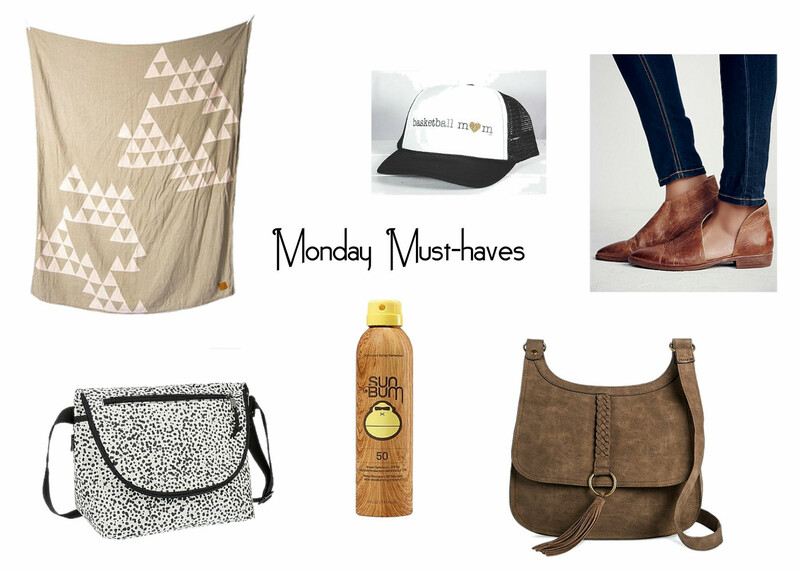 Here are this weeks must-haves. I have been obsessed with these Free People royale flats for longer then I can count. I just love how they look and I know I could walk around in them all day. This Baseball mom hat has been a staple of mine for over a year. I am a redhead so wearing a hat when I’m outside for long periods is an absolute must. And I just love how this hat claims my title for the weekend. They make so many other hats for us moms, check them out. You can usually find my daughter hanging out of the grass either coloring or playing with the other sisters who have brothers playing on the team. This Ulive linen towel would be great to throw down for her so she doesn’t get itchy. Anyone else have a kiddo who immediately cries “itchy” after they have been on the grass for awhile? I converted to thinner towels a few years ago because I just love how easy they are to throw in my bag without lugging around the traditional terry towel. If you haven’t grabbed a linen or Turkish towel yet, get to it. You’ll be obsessed. You can also find me rocking a Cross body purse so that I have my hands free for all the other items I have to carry from the car. I thought this one was so cute and definitely my style. Sun Bum spray has been a staple in our home. It is the only spray my kids love the smell of. I’m a huge advocate of wearing SPF always…again redhead here. I’ve had too many procedures done on my skin over the years, so we all grab our Sun Bum spray when we are at the fields. Lastly, I can’t stand having to run to the snack bar all the time so these Freezable carryall lunch bags are great to pack up in the morning. They freeze all night so that they keep the food cold all day.